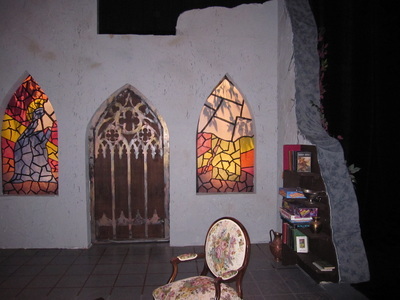 Set model for "The Priory"
Produced by United Players of Vancouver Andree Karas Artistic Director. 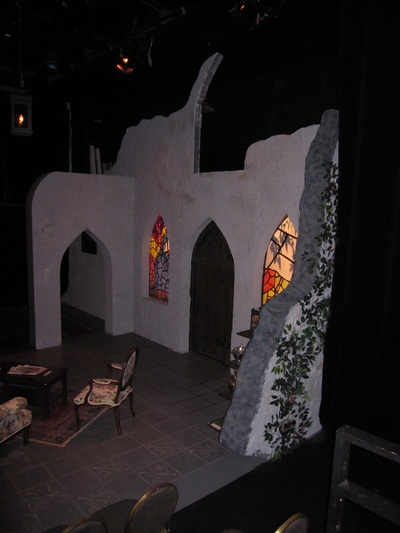 Set in a converted priory or monastery, and a supposedly haunted one at that, director Kevin Bennett and I turned to images of ruins from Playwright Michael Wynne's England for inspiration. We were also inspired by the location and interior of the Jericho Arts Centre. 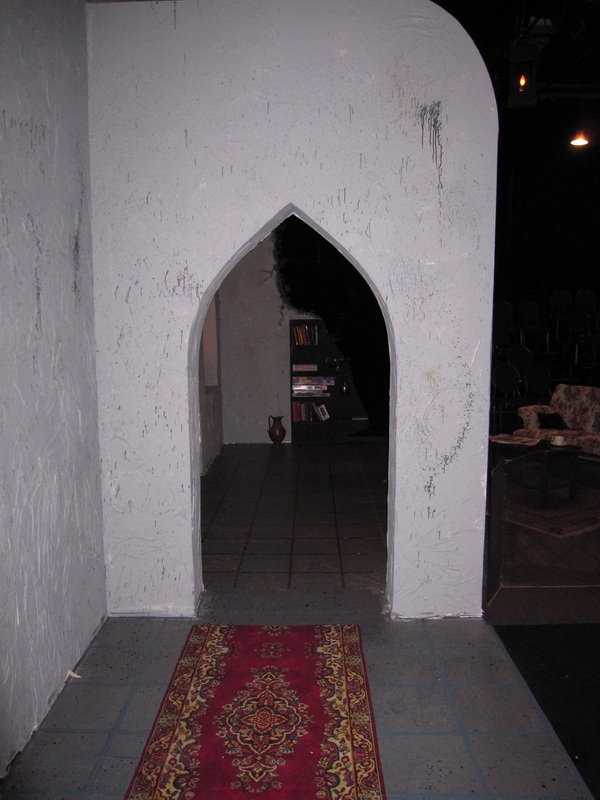 As Vancouver-ites may know the centre is located in a somewhat remote area, and it's interior seems vast (high peaked roof with old wood beams etc). 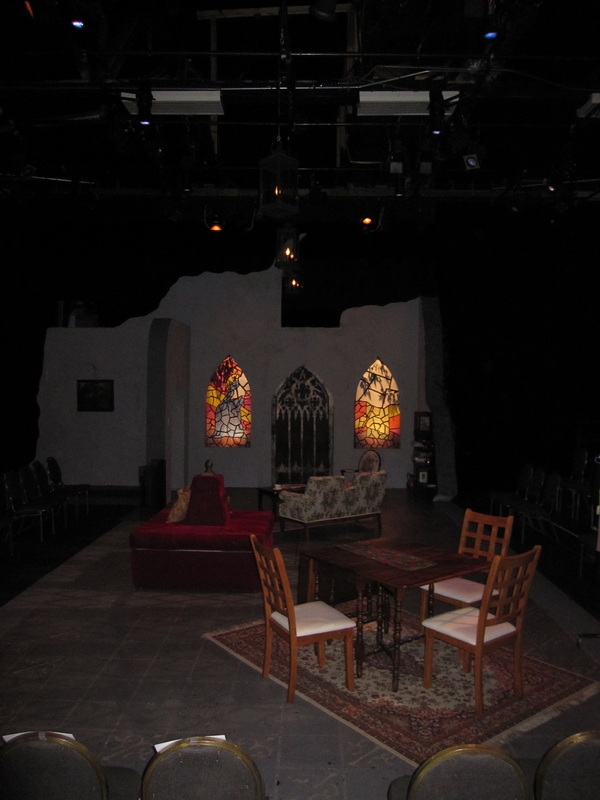 Collaborating with lighting designer Graham Ockley, "candle-lit" lanterns were hung high over the stage to include the interior of the building, and used to signal the "presence" the characters at times feel. One of director Bennett's choices, the long open thrust allowed viewers (especially those on the sides) to feel part of the play. 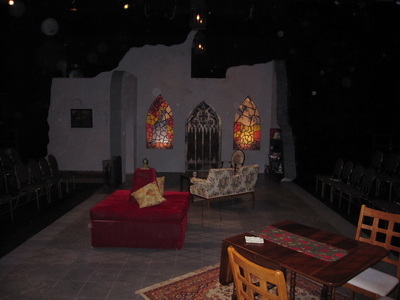 The furniture is indeed an eclectic grouping, taking advantage of United Players/Jericho Arts Centre's stores. The set was built and painted by the designer and the incredible volunteers who make everything possible at United Players. 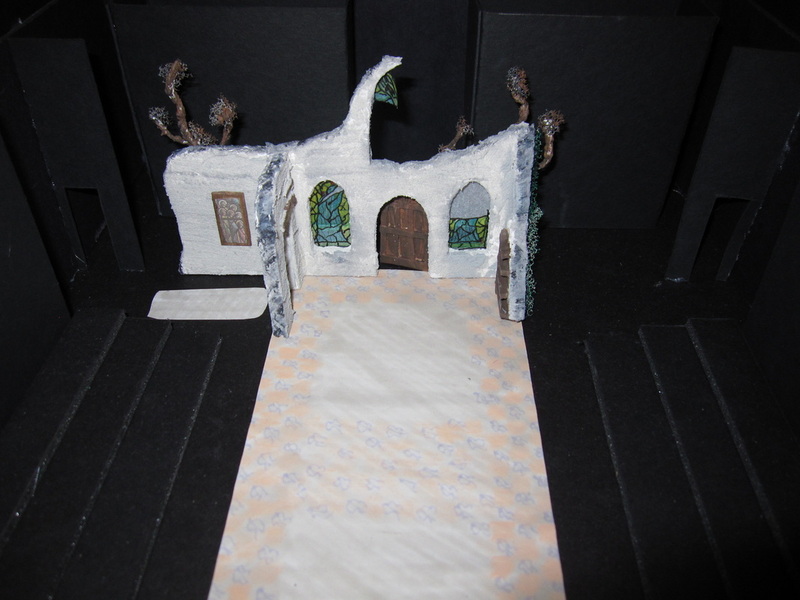 The "tile" floor is entirely painted by scenic artist Stephanie Elgersma and the designer.